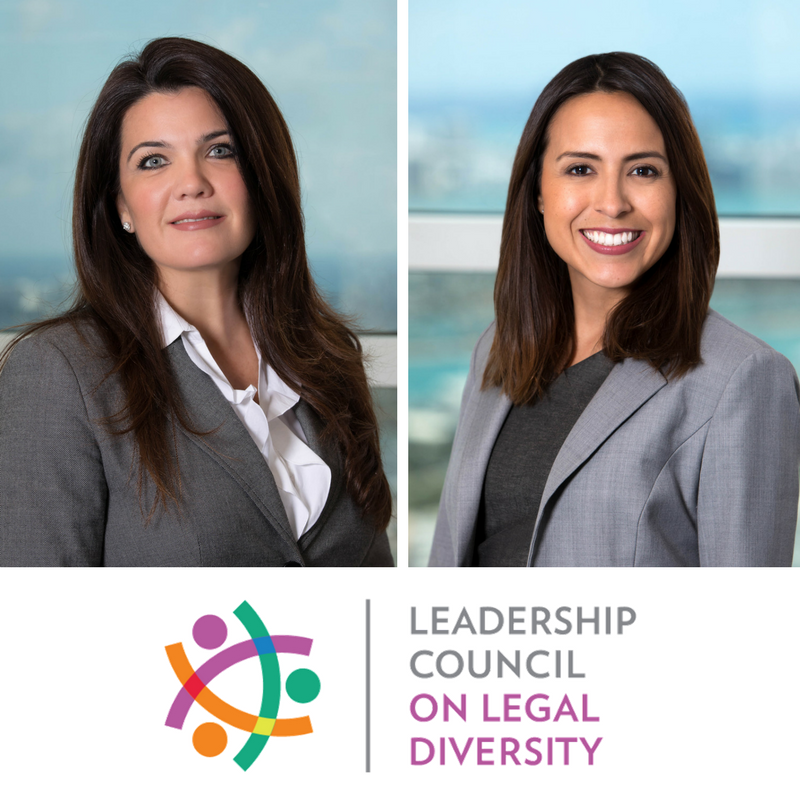 Shutts & Bowen is pleased to announce that attorneys Aliette DelPozo Rodz and Marcela Lozano have been selected for the Leadership Council on Legal Diversity (LCLD) 2018 Class of Fellows and Pathfinders, respectively. The firm has nominated Miami partner Aliette DelPozo Rodz to be a member of the 2018 class of Fellows. Aliette joins a select group of experienced attorneys from diverse backgrounds who have been recognized for their potential as leaders in their organizations. The year-long, in-depth program is devoted to produce a generation of attorneys with strong leadership and relationship skills who are committed to fostering diversity within their individual institutions and the profession at large. The firm has nominated Miami partner Marcela Lozano to be a member of the 2018 class of Pathfinders. The program is designed to train diverse, high-potential attorneys in critical career development strategies. The Pathfinders program is an intensive in-person training, online experiential learning, and opportunities to network with peers and LCLD Fellows in small group gatherings. Aliette DelPozo Rodz is a partner in the Miami office of Shutts & Bowen LLP, where she is a member of the Business Litigation Group, Chair of the Cuba Task Force, Chair of the firm’s Diversity Committee, and Co-Chair of the firm’s Focus on Women Group. Aliette serves as lead trial counsel for companies nationally and internationally involved in disputes in state and federal courts and in arbitration and before administrative agencies. She handles all aspects of litigation across numerous industries. Marcela Lozano is a partner in the Miami office of Shutts & Bowen LLP, where she is a member of the Business Litigation and International Dispute Resolution Practice Groups. Raised in Colombia, Marcela has experience representing a wide range of Latin American and other foreign clients in the United States as well as domestic clients in international transaction and litigation matters, including civil asset forfeiture defense, regulatory compliance and financial services. Founded in 2009, LCLD is an organization of more than 285 corporate chief legal officers and law firm managing partners who are personally committed to creating a more diverse and inclusive legal profession.